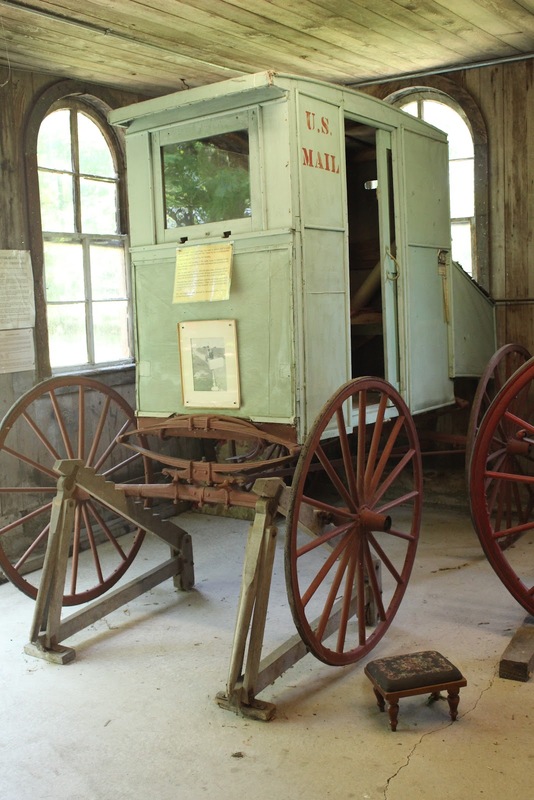 This 1921 horse drawn mail buggy was used to deliver main in rural Lomira, Dodge County, Wisconsin for 7 years by Mr. Frank Brodzeller. 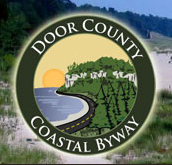 This was a 38-mile route serving 165 families. In late 1927, after traveling 5,794 miles using 4 different horses, Brodzeller gave way to the automobile and retired his fourth horse and buggy as well. After 39 years and 7 months, 400,000 plus miles, 4 horses, and 20 automobiles, Brodzeller retired. A safe driving award was given to him along with an excellent service award by the Lomira Citizen group [sic]. 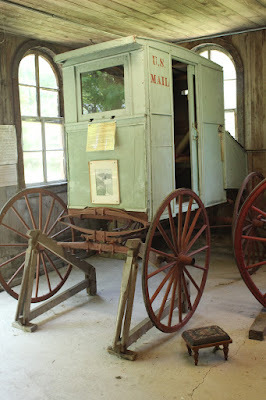 Brodzeller then, with a borrowed horse, used this buggy once again to deliver his last mail to Lomira Route 1. There were many of his friends waiting for the mail to bid this final farewell. All relived the early days of 1921. 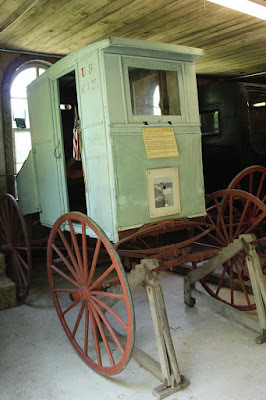 This buggy was later donated by Brodzeller to the Galloway Carriage house [sic] museum [sic]. The mail slots in the front of the buggy . . . The buggy is to the left of the entrance, inside The Carriage House. 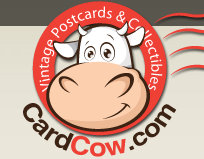 The buddy is located at Galloway House & Village.